Nothing represents spring better than a manicure ombre in pastel colors. Get this look with the new pastel shades of The One Long Lasting Varnish , and dazzle in the new season! Oriflame features 5 new modern colours that combine with the latest trends for Spring 2018. Special pigments give a pure, clear and intense colour that does not fade. The special brush is wide, allowing a perfect application in one pass. 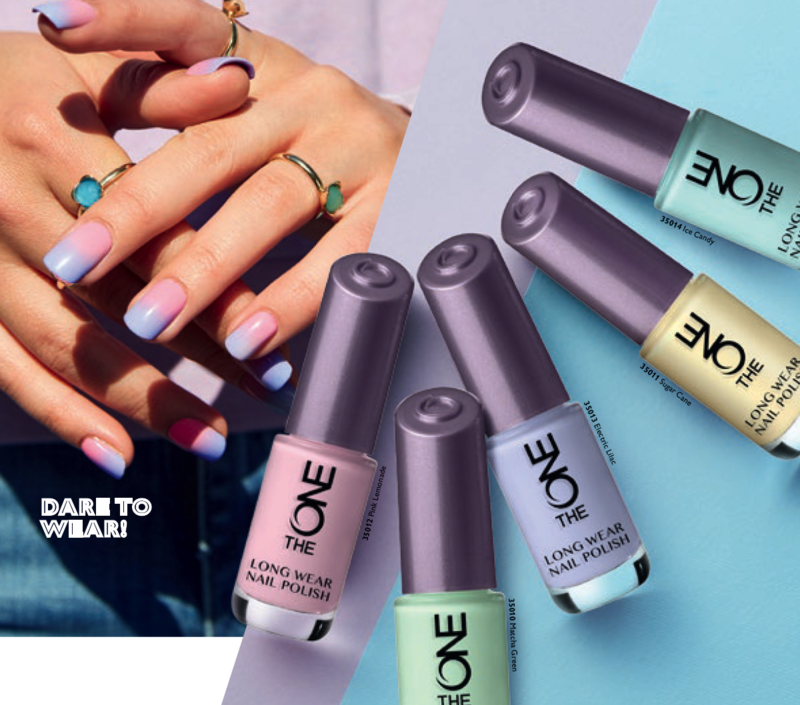 Reveal the fashionista in yourself with the season’s most trendy looks and the pastel shade palette of The ONE Long Lasting Varnish. The ONE’s Long Lasting Varnish gives you both electrifying and soft looks at the same time, with a sophisticated manicure or an elegant ombre effect. 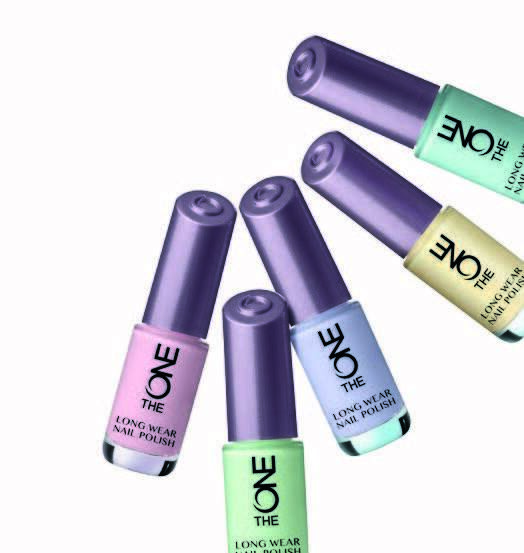 With these vibrant pastel shades, your nails add sophistication to your looks. Long-lasting high coverage nail polish in the latest shades. With Expert Gel Technology for even coverage and chip and fade resistant colour. High Definition Wide Brush for accurate application. 8ml What could be more spring fresh than combining several colours in an ombre effect? Give your look soft, feminine touch with details in understated pastels. Nails are the perfect way to show it off. This fun style embodies all of the whimsy and colour that comes with spring fashion, making this the perfect time to jump on the bandwagon8 ml.